Rice farmer in front of her house. Photo taken on assignment for The World Bank. This boy was reading a during a lunch break. I really like the way the light is reflected from the book onto his face. Photograph taken on assignment for Unicef. If you don't have a calculator just use your hands. Pupil in front of her school. Photo taken on assignment for AusAID. Photo taken on assignment for Unicef. Launch of a vaccination program. Villagers getting together at the end of the day. These children were happy to show me the benefits of a water pump. Teacher and her child during a lunch break. Photo taken on an assignment for Unicef. Children testing the quality of their drinking water. Photo taken on assignment for the WASH project of SNV, The Netherlands Development Organization. Learning to write is fun! I met this teacher and pupil during an assignment on education I did for the World Bank. Washing hands with soap before your lunch break. Pupils are taught about the importance of hygiene. Mother and child during a meeting with staff members of Care. 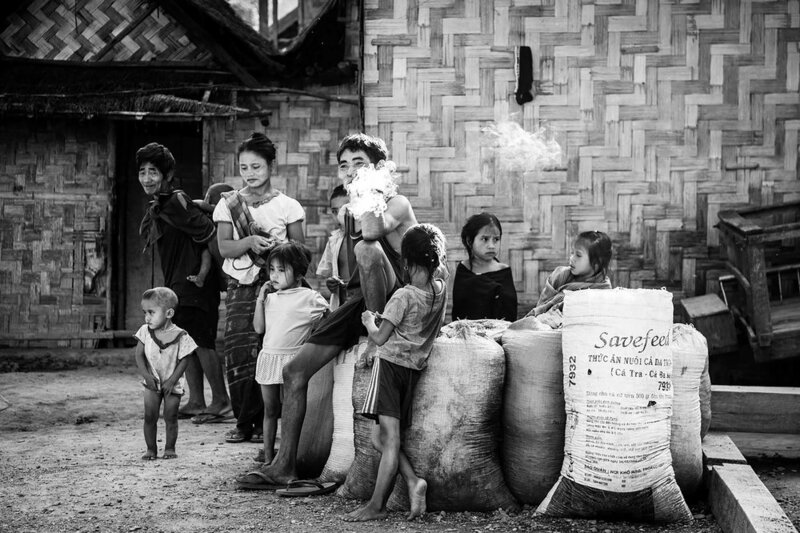 This photo I took when I was on a mission for The World Food Programme in Northern Laos. Staff member of WFP visiting a village in Northern Laos. Photo taken on assignment for WFP. Woman buying her fresh vegetables on the morning market in Muang Sing. Photo taken on assignment for The World Food Program. Rural Development, German Development Bank. This photo is going to be used by Swisscontact to promote tourism to Southern Laos. Children on their way home from school for lunch. Nurse on her way to a remote village in rural Laos. Foreign Minister Julie Bishop is greeted by students at Hom Neua Primary School. 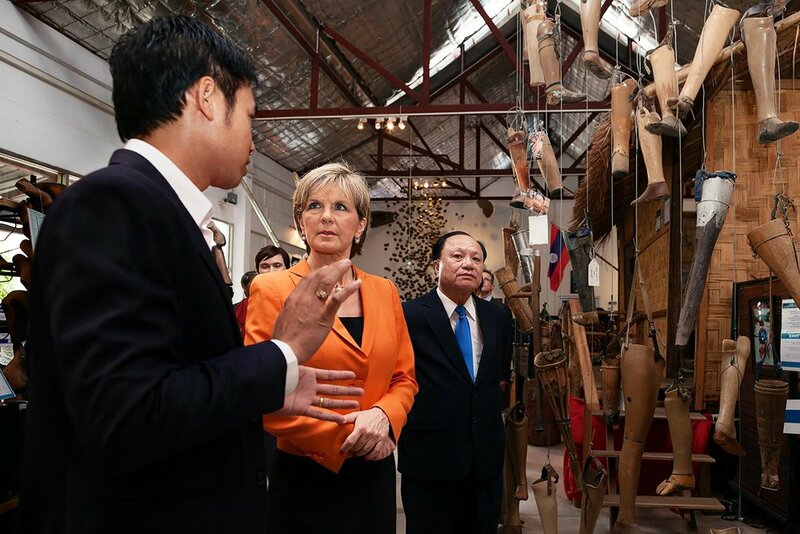 Foreign Minister Julie Bishop visits the UXO Visitor Centre of the Cooperative Orthotic and Prosthetic Enterprise (COPE). Foreign Minister Julie Bishop with Lao Foreign Minister and Monash University alumnus HE Mr Saleumxay Kommasith in Vientiane, Laos. 27 July 2016. Australian Foreign Minister Julie Bishop meets HE Daw Aung San Suu Kyi, Minister of Foreign Affairs of Myanmar, during the 2016 ASEAN Ministerial Meetings in Vientiane, Laos. 25 July 2016. A group of surgeons from the Netherlands who operate as many patients as they can while training Vietnamese and Lao surgeons and dentists.